If you’re the parent of a young child, then odds are high that you know the words to the Rainbow Sparkle Song from Little Charmers. This is a kid favorite show that’s part of the Nick Jr. lineup. Kids love all of the sunny days and fun that abounds on the show. The sweetness of the characters Hazel, Posie and Lavender are the reasons why this Halloween, costumes featuring these adorable girls are on the hot list. They’re in high demand, so they will go pretty fast. It’s a good idea to make sure you get yours early so your child doesn’t end up disappointed. You can find some of these costumes that are created around one of the outfits the characters wear on the show. Your child will believe in magic and that she, too, has the ability to mimic the character’s magic spells. She’ll love that she’s part of the wonderfully charmed world. You’ll see that many of the costumes are bright in color and constructed from material that looks like satin, so they have a shine to them when they’re worn. You can find some that will be all decked out in glitter so that as the costume catches the light, it will sparkle and really will look like it’s magical. These costumes are considered to be the no fuss ones because they all are easy on and easy off. In fact, your little one should be able to dress herself. 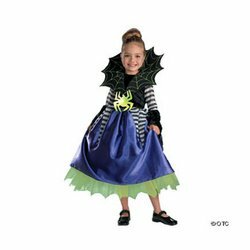 Not only will she love going out in the costume for Halloween, but the costume will become a loved part of her dress up playtime in the months to follow. 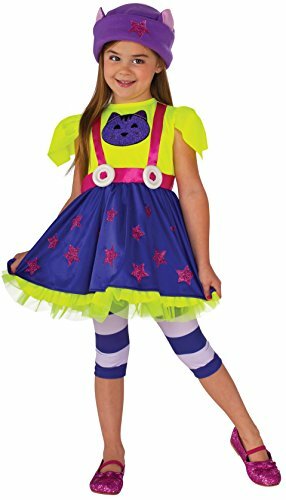 The costumes can fit a variety of children’s sizes and ages. 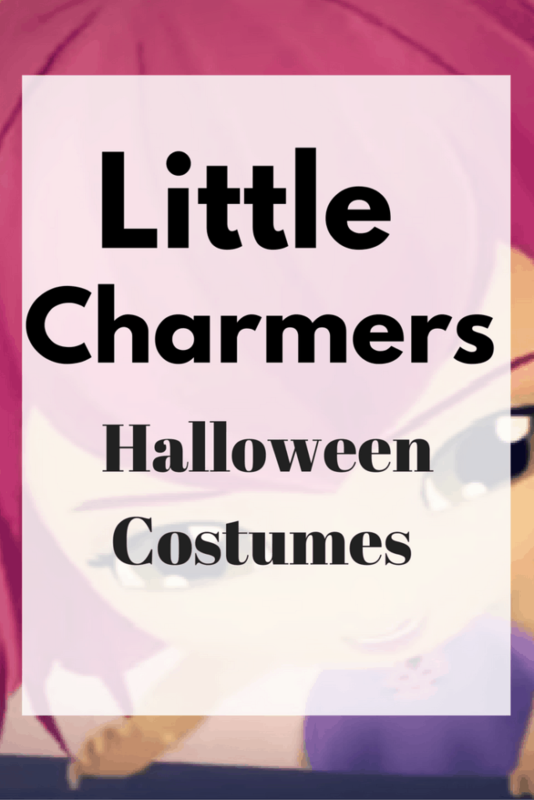 You can find some of the Little Charmers costumes that have the special designs just like the characters have on the show and some of these designs will glitter as well. There’s a great attention to detail done with these different costumes. Some of them do offer more accessories along with the costume than other ones do. You will find that some of the costumes will have things like flowers with them, while others will have headbands that have cute little bows on them just like the characters wear in the show. You can find some of the costumes that also come with tights included as part of the purchase, but not all of them have this. Your child will need to wear her own shoes with the costume, since these are not included in them. The costumes are made of 100% polyester that’s soft to the touch.